Bluesdoodles has listened and the verdict is the cinematography and visuals of the video are stunning. The contrast of the UK Rockers in colour, grungy rocking with a hint of menace contrasts with the visual elegance of the black and white filming of a ballet dancer. Add in the sumptuous cello we have rock music melodic riffs joining with the crash of a rhythm sections anger. rising to a climbing crescendo as the dancer. This is rock music with an edge the lyrics are almost spoken a verbal poetry that is creating a pas de deux as the dancing changes to an edgy and at times full of fear a contemporary flirt with danger the dance and music. A haunting single leaving you wanting to listen to more Johnny Wore Black. Johnny Wore Black, featuring Megadeth’s David Ellefson on bass guitar, have released their third album ‘Ultra Violent Light’ via the EMP label group. Johnny Wore Black was formed in 2012 with a view to writing and creating the music deep in the heart of Jay, the founder of the project. Having written songs since his teens, there was plenty of past material, a selection of which needed exorcising before new works could develop. The first album was an exploration into older songs with a few new ones and ended up being split into two parts, released in March and November of 2014 entitled ‘Walking Underwater Parts 1 & 2’. During the writing time, Jay also dialled into his filmmaking heritage and created various music videos to accompany the Johnny Wore Black tunes. 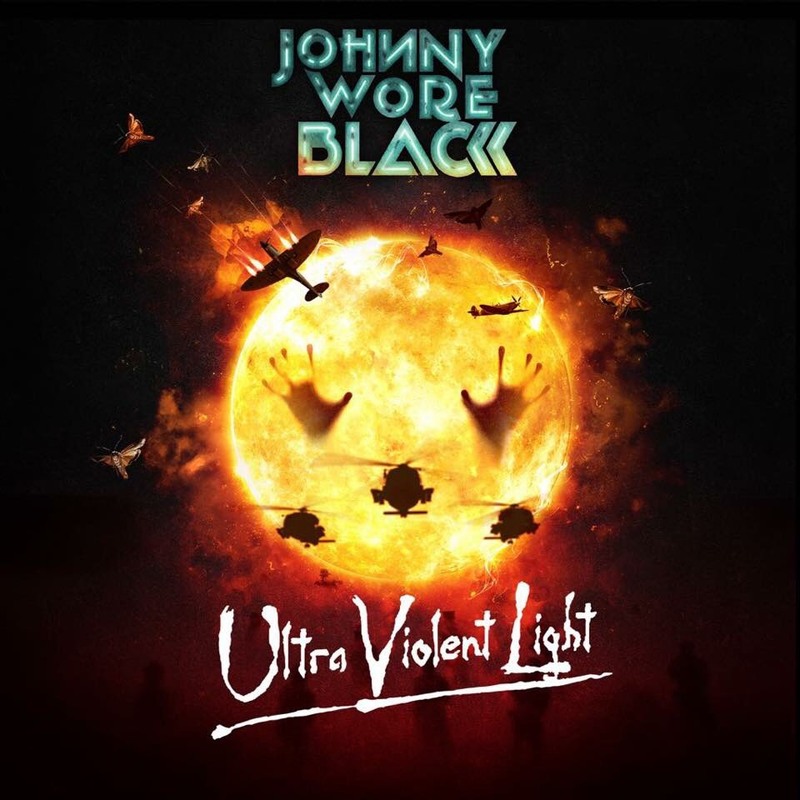 It took more than three years to finally release Ultra Violent Light and the collaboration with talents David Ellefson, David Bottrill, Simon Hutchby & Gez Walton, served to create the latest instalment of the Johnny Wore Black saga. Since the birth of Johnny Wore Black there has been critical acclaim in publications including Music Week, Metal Hammer, Revolver and Classic Rock, BBC Radio play from Australia to the USA and into Europe and the UK numerous video airings on MTV’s Kerrang Channel and Scuzz. The album was produced by David Bottrill (Tool, Stone Sour, Dream Theater) & Gez Walton (Earthtone9), mastered by Joao Carvalho & Bryan Lowe.